MercuryMinds offers customers with the best-in-class online shopping solutions by adopting to the latest industry standards and best technologies. Our procedural work force allows us to get acknowledged by leading organizations worldwide. Achieving ISO 9001:2008 certified quality management system shows our ability to consistently provide solutions and services which aims at the highest level of customer satisfaction by ensuring the quality and timeliness of deliverables. We are certified by Bureau Veritas for ISO 9001:2008 QMS standards. MercuryMinds is a member of NASSCOM, which is India’s National Association of Software and Service Companies, the apex trade body and the chamber of commerce of the IT software solutions and services industry in India. NASSCOM has more than 1200 members worldwide and headquartered in New Delhi, India. 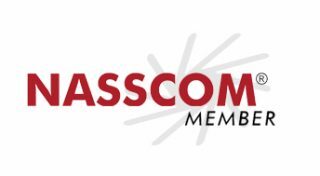 As a member of NASSCOM we enjoy the opportunities to engage and drive thought leadership in activities, forums and industry groups. We are registered as a member of “NASSCOM”. MercuryMinds is a member of WDDA – Web Design and Developers Association. WDDA is one of the leading international internet community since 1996 dedicated to promote ethical business practices. We are associated with WDDA because of ensuring ethical business practices for all our solutions and services. We are registered as a member of “WDDA”.